This edition is centred on Childhood Favourites! 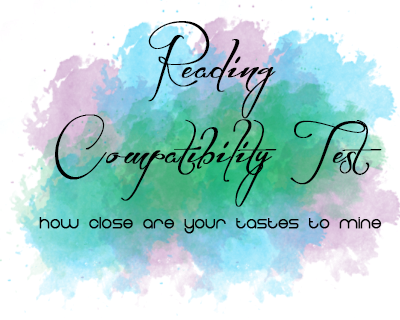 This was a Top Ten Tuesday topic a couple of weeks ago and I thought, what the heck, let's adapt it into a Reading Compatibility Test instead of listing some of my childhood favourites off. So here are the statements! 1. You sometimes feel a bit disappointed when there's not a golden ticket in your chocolate bar. 3. On the first day, you eat one apple. On the second day you eat two pears. 4. You really want a blue dragon. 5. You will avoid at all costs a man with the tattoo of an eye on his left ankle. 6. You know that gold is power (and that to get gold, you need to kidnap a fairy). 7. You still wonder what a snozzcumber tastes like. 8. You would one day like to go to the 600th floor of the Empire State Building.